Newly Renovated West Orange Colonial featuring a designer eat-in kitchen, large living room, formal dining room, office and den on the 1st floor and 4 beds, including a master suite on the 2nd floor. For more information about this property, please contact MARK SLADE at 973-762-5400 or sladehomes@gmail.com. You can also text 4865869 to 67299. Maplewood 2017 Real Estate Market Recap: ANOTHER AMAZING YEAR! Ratio of Price Paid to List Price also up to 103.4% of asking, versus the 102.6% of asking that buyers paid in 2016. 56% of the homes sold for more than their asking price, another 12% sold for asking; so the majority of the homes sold for asking and above, meaning that over 2/3's of Maplewood's Sales were for asking and above! Twenty Eight homes sold for over $1,000,000 including four that were priced below $1.0 Mill, showing that buyers wanted them so badly that they were willing to pay the luxury tax, a.k.a. the millionaire's tax, to make their home purchase in Maplewood, New Jersey. 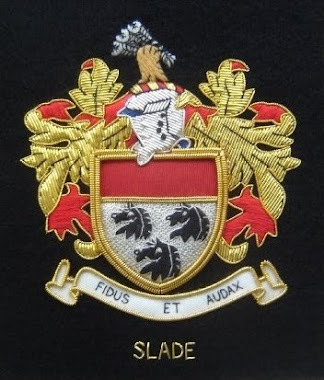 2017 was also a banner year for the Slade Homes Team. We closed $30 Million and 66 transaction, bringing our totals to over $200 Million and over 500 transactions. Selling a Maplewood/South Orange/Millburn/Short Hills area home involves many steps and having an experienced Maplewood New Jersey Real Estate Agent and Realtor®, specializing in the Bedroom Communities of New York City in Essex/Union County— Millburn, Short Hills, Montclair, West Orange, South Orange, Livingston, Maplewood, Springfield, Summit, Madison, Chatham, Scotch Plains, Fanwood, Cranford and Westfield--by your side will make the transaction run a lot smoother. I would love to be your Maplewood/South Orange New Jersey Area Real Estate Professional! I assist both buyers and sellers in the Bedroom Communities of New York City, mostly served by NJ Transit’s Mid-Town Direct Train Lines, offering commutes of 45minute or less to NY Penn Station, with either the purchase and or sale of residential real estate. Furnished SHORT TERM rental, available June 1 - September 30, in luxury building. Just steps to South Orange Village and train station. One assigned parking space in secure, underground garage. Second spot available for additional fee. Third floor unit with in-unit laundry. Building has exercise room, central air and elevator. NO smokers please. For more information about this property, please contact MARK SLADE at 973-762-5400 or sladehomes@gmail.com. You can also text 4861962 to 67299. 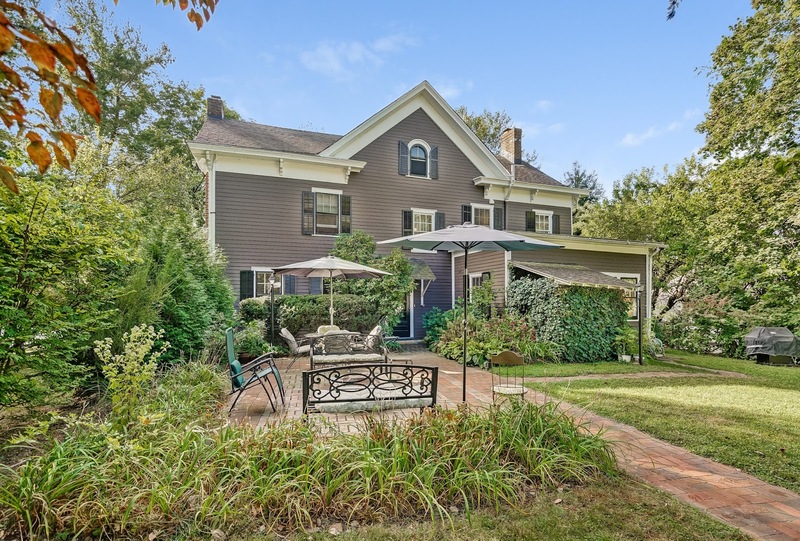 Charming Maplewood Colonial with 3 beds and 2.5 baths and Eat-In-Kitchen. For more information about this property, please contact MARK SLADE at 973-762-5400 or sladehomes@gmail.com. You can also text 4859550 to 67299. Ranch style living just steps to town and train. Newly renovated including a new kitchen. Perfect for a downsizing homeowner or one that is just starting out. Bonus of Golf Course views. Truly unique and charming property. Entirely refurbished 3 bedroom 1 1/2 baths extremely close to the train station and downtown. Lovely back bedroom can easily have a deck put in to further enjoy the incredibly spacious backyard which extends to the golf course providing an amazing landscape and complete privacy. There is simply not another house on the market that combines these features at this price. Tremendous investment potential. Near Tuscan Elementary and Maplewood Middle School. 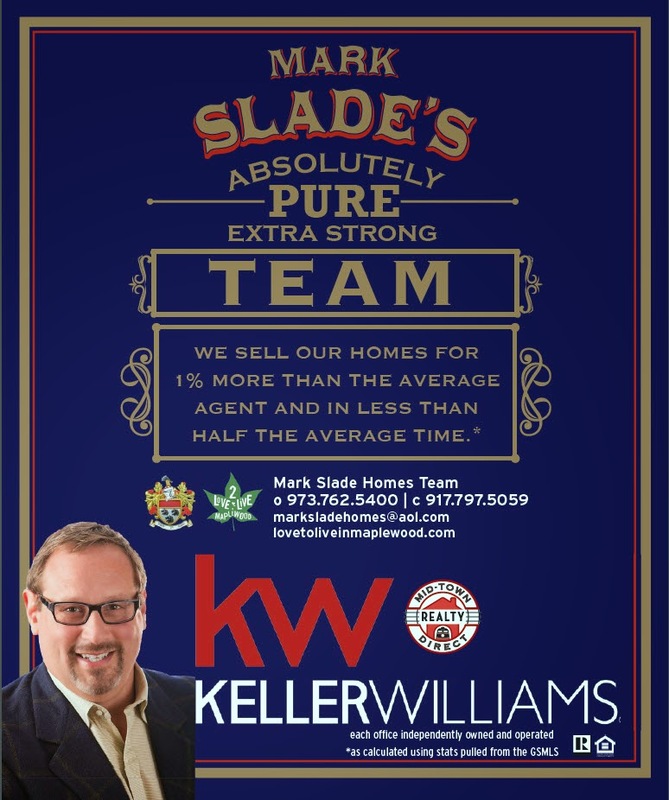 For more information about this property, please contact MARK SLADE at 973-762-5400 or sladehomes@gmail.com. You can also text 4847385 to 67299. 2017 was a great year for real estate in New Providence, NJ. We saw substantial increases in prices paid and prices paid vs list price. I hope you enjoyed the video above. If you are thinking of living in New Providence, I happen to have an amazing listing at 1049 Springfield Ave., New Providence asking $749,000 (It won't last long at this price)!. Selling a Springfield, Mountainside, Berkeley Heights, Summit, New Providence, Westfield area home involves many steps and having an experienced Berkeley Heights/New Providence New Jersey Real Estate Agent and Realtor®, specializing in the Bedroom Communities of New York City in Union County— Berkeley Heights, Summit, New Providence, Westfield , Scotch Plains, Fanwood, Springfield, Cranford and Westfield--by your side will make the transaction run a lot smoother. I would love to be your Springfield,/Mountainside/Berkeley Heights/Summit/New Providence/Westfield New Jersey Area Real Estate Professional! I assist both buyers and sellers in the Bedroom Communities of New York City, mostly served by NJ Transit’s Mid-Town Direct Train Lines, offering commutes of 45minute or less to NY Penn Station, with either the purchase and or sale of residential real estate. Our website: www.unioncountyproperties.com brings us several new buyers every day which helps us sell our Union County Listings for more money and in less time. 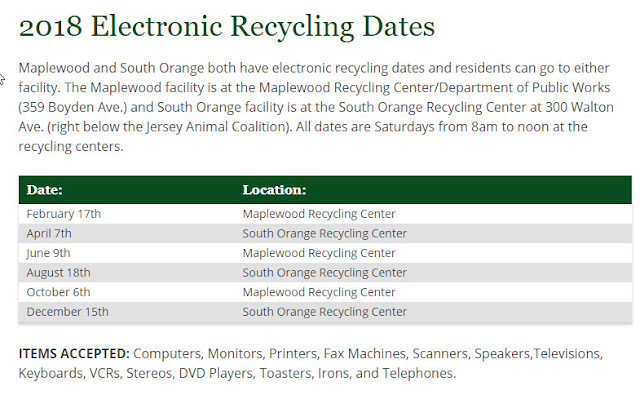 Do you have any Computers, Monitors, Printers, Fax Machines, Scanners, Speakers,Televisions, Keyboards, VCRs, Stereos, DVD Players, Toasters, Irons, and Telephones that you would like to dispose of responsibly? 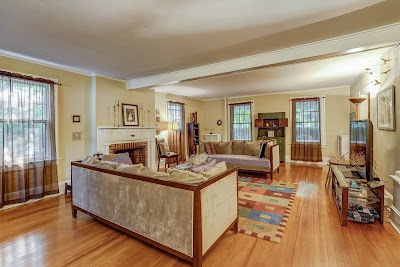 This 3 bedroom/1 bath Colonial has been beautifully maintained and offers an abundance of light throughout. The open kitchen features newer appliances and an adjacent family room- a perfect gathering place! The updated bathroom includes a soaking tub and separate shower. Three bedrooms and a bonus room - perfect for an office, nursery or walk-in closet - are located on the second floor. The unfinished basement provides ample storage with the opportunity to create more living space. The mature trees and patio create a private setting for entertaining or relaxing. This home is conveniently located 1/2 block from the jitney stop and 1/2 mile from the town pool. Both the home and the garage are being sold "as is." For more information about this property, please contact MARK SLADE at 973-762-5400 or sladehomes@gmail.com. You can also text 4843738 to 67299. For more information about this property, please contact MARK SLADE at 973-762-5400 or sladehomes@gmail.com. You can also text 4841770 to 67299. Located on a quiet dead-end street. This home features 3 spacious bedrooms, a bright and large living room, formal dining room with stained glass, Eat-In Kitchen, 1st Flr Powder and hardwood floors. Basement offers an office with ensuite full bath as well as a laundry room, storage room and utility room. This property is perfect for a buyer(s) that want to invest and decorate their new home and benefit from the return on investment. It's also a very good rent and hold investment or even possibly a good flip. For more information about this property, please contact MARK SLADE at 973-762-5400 or sladehomes@gmail.com. You can also text 4834262 to 67299. Designer Rachel Sweebe spent 20 years in the fashion business before discovering her love of wedding gowns. 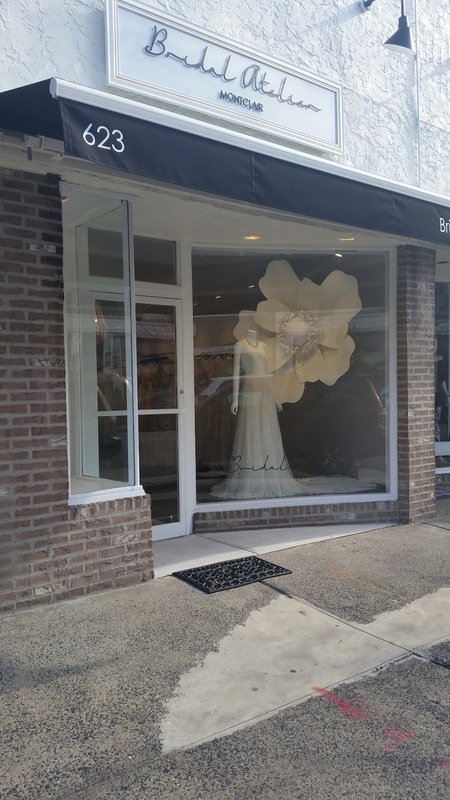 Over the next 10 years, she created custom designs and launched her own collection, which eventually led to her new retail space, Bridal Atelier Montclair, located in the heart of Upper Montclair. “Opening this boutique seemed like the natural next step in pursuing my love of all things bridal!” she enthused. 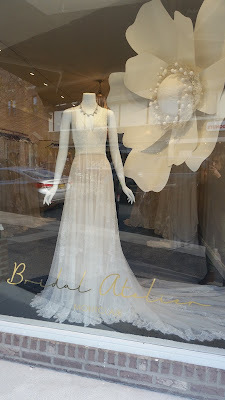 Bridal Atelier Montclair carries a beautiful assortment of gowns, veils and headpieces from American and European designers such as Flora, Romona Keveza, Claire Pettibone, Amy Kuschel, Campodoro Bride and Sara Gabriel. The unique brands are a real draw for customers seeking something truly special for their big day. 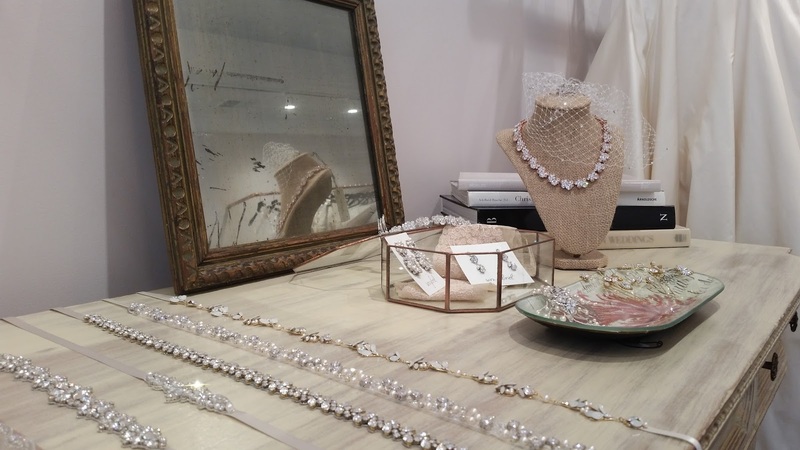 “Most of our designers are exclusive to us in New Jersey,” Sweebe said. The trends for spring/summer focus on classic/ clean silhouettes, deep “V” necklines, sheer details and gowns in crepe fabric. “Our bride is contemporary in her style, she wants modern with a twist paired without compromising impeccable fit and luxurious fabrics,” she explained. Michele Silver is a freelancer who has been living in Montclair for 10 years. Her favorite part of her wedding was shopping for her gown. Selling a Montclair/Glen Ridge/Maplewood/South Orange area home involves many steps and having an experienced Maplewood New Jersey Real Estate Agent and Realtor®, specializing in the Bedroom Communities of New York City in Essex/Union County— Montclair, Glen Ridge, West Orange, South Orange, Livingston, Maplewood, Millburn, Short Hills, Springfield, Summit, Madison, Chatham, Scotch Plains, Fanwood, Cranford and Westfield--by your side will make the transaction run a lot smoother. I would love to be your Maplewood/South Orange New Jersey Area Real Estate Professional! I assist both buyers and sellers in the Bedroom Communities of New York City, mostly served by NJ Transit’s Mid-Town Direct Train Lines, offering commutes of 45minute or less to NY Penn Station, with either the purchase and or sale of residential real estate. 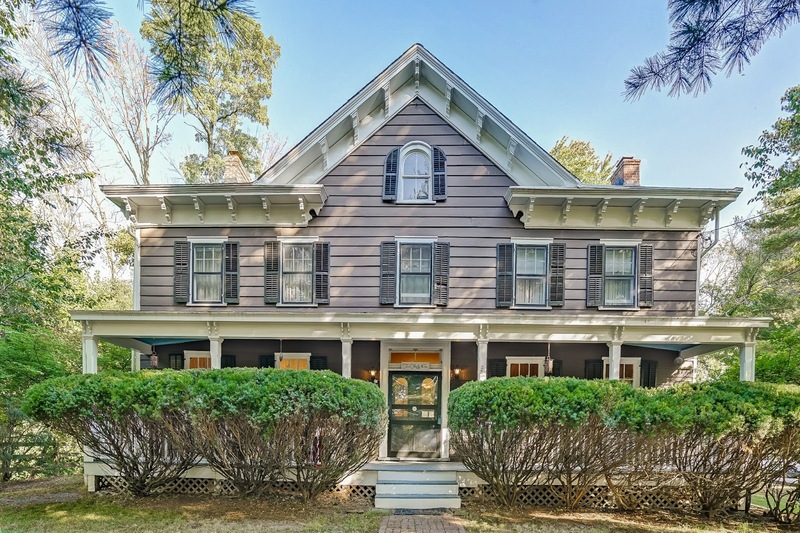 As your Montclair/Glen Ridge /Maplewood/South Orange /Essex/Union County New Jersey listing agent I am well versed on as your local expert in all things in the Maplewood and South Orange area Real Estate Market. You can expect personalized service that includes a detailed consultation on how to best position your Mid-Town Direct home to be competitive in today’s market with training to provide my clients with an in-depth Advanced Comparative Market analysis, and advice on staging. As my office’s technology officer as well as both a Zillow Platinum Premier and Trulia Premier agent, I use the latest and most up-to-date marketing methods to get your home in front of as many buyers as possible. Being your New Jersey Real Estate Agent and Realtor ® not only involves just finding the home or selling the home, but being your guide, negotiator, advisor and advocate and making sure that your needs and goals are met. Being your New Jersey Essex/Union County area Realtor® (with a little bit of Morris County thrown in for good measure) is one of my truest passions, and “Helping You Find Your Dream Home” is my number one priority. You won't want to miss this recently renovated custom colonial/split level on double lot in Englishtown section. The minute you enter thru the front foyer, your eyes will widen with delight. Step into the Living room where two skylights and a stone fireplace combine with the cathedral ceiling in the amazing space. Three 3 bedrooms are complemente3d by two extraordinary baths that include custom marble, a jetted claw foot tub, a frameless shower & built-ins. The many details include great custom closet space throughout and fine moldings. The finished walk-out basement has a family room, home office and laundry room. Easy commute with NYC bus on the corner and walking distance to houses of worship. For more information about this property, please contact MARK SLADE at 973-762-5400 or sladehomes@gmail.com. You can also text 4830320 to 67299. 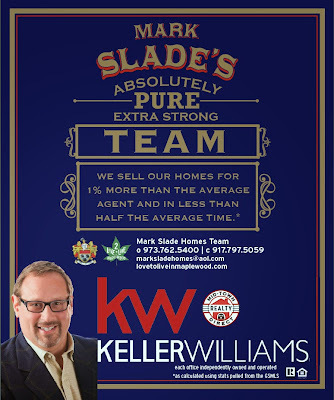 For more information about this property, please contact MARK SLADE at 973-762-5400 or sladehomes@gmail.com. You can also text 4828983 to 67299.